Took a few pics. Decided a jacket and hat would feel good. Hands were still cool, but can’t work the camera with mittens on. Did learn, while moving, that an aluminum tripod and bare hands in below zero temps aren’t a good combination. 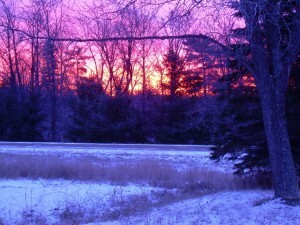 This entry was posted in Morning Sky, Pictures and tagged Dawn, December, Morning, photo, photography. Bookmark the permalink. 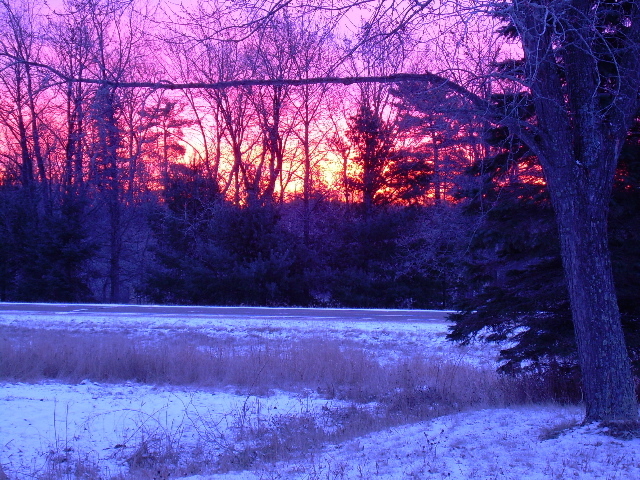 Wow, amazing colours and wish i could see such a snenery in front of me. Lucky You and thanks for sharing it with us. its really great !! Sounds like that was an exciting sunrise. Clicking on the big version was certainly rewarding! Great photos! Thanks for sharing. That landscape is really nice. Your photos are incredible! I love love love the colors. I hope the cold wasn’t too unbearable. Did you do any photoshop alterations or is that 100% natural? The photos are untouched… Just the way the camera captured the sky. Very very nice sky shot , where are you? In which country? Ok I have found it , Minnesota. I know Minnesota , If I remember well , from the TV series Mary Tyler Moore , Don’t you Know or are you too young?? It was stunningly beautiful like a painted portrait. Love the red effect. It was so cool! Wow, what an amazing picture. 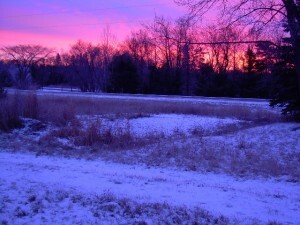 The sunlight makes the snow look an amazing color of light purple.